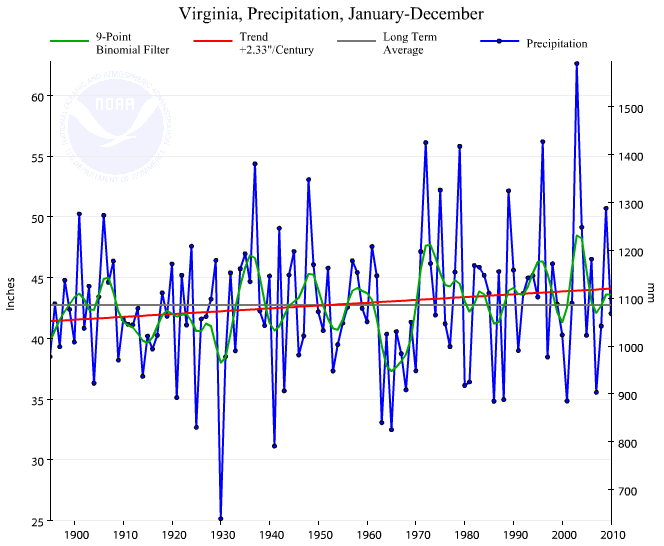 "Climate is what you expect; weather is what you get"
Virginia is a four-season state. August days can be - on the average - hot and humid, while January days can be cold and dry. The warmth in the air in early Spring, and the chill in the air in the Fall, "feel" different from other seasons. That's the climate pattern. However, if you're planning an outdoor event for any particular day in August or January, you'll have to check the weather report within a few days of the event to know the temperature and chance of precipitation for that one day. Climate is defined by long-term averages. In contrast, weather is what's happening now. Weather changes rapidly within 24 hours, but climate changes gradually over the decades. 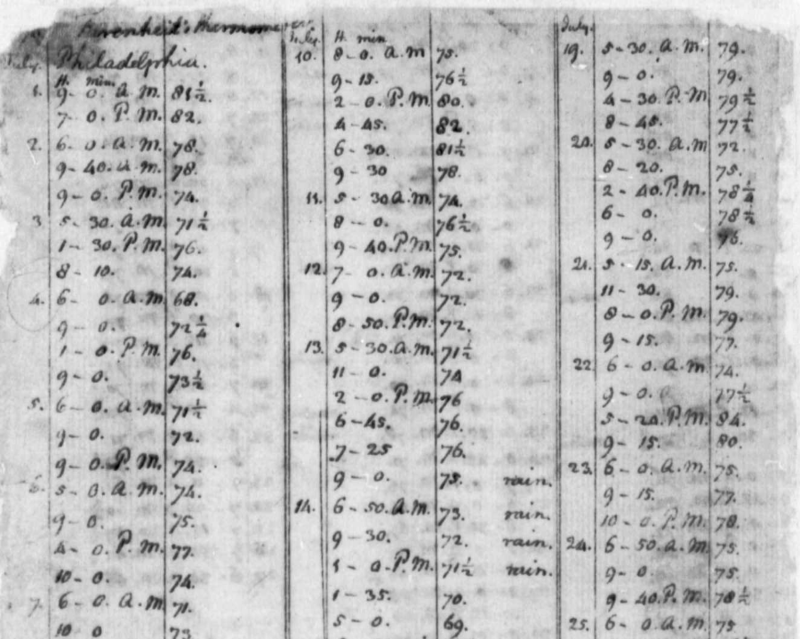 It requires many measurements to document if we are trending towards an ice age or global warming. 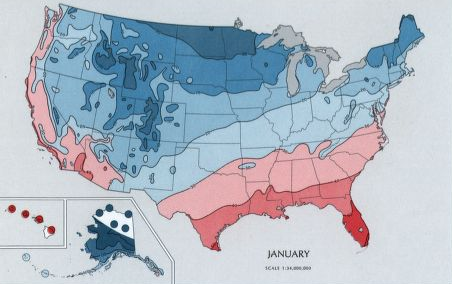 Climate is measured in 30-year averages known as "climate normals." The 1961-1990 normals and the 1971-2000 normals are different, because the climate shifted slightly. The National Weather Service has divided the continental United States into 344 climate divisions, with six in Virginia, to document monthly temperature and precipitation values. The Virginians paying the most attention to climate change may be on the coastline, anticipating sea level rise - but the operators of ski resorts are also concerned. As the climate warms, the capacity to offer good skiing before the Christmas holidays becomes less reliable and the ski resorts have to emphasize summertime hiking, zip lines, etc. Just to the west of Winchester, Canaan Valley (West Virginia) gets 100 inches of snow annually. That helps to support looooooooong ski seasons that are the envy of ski resort owners less than 70 miles away in Virginia. The Virginia ski resorts get 25-50% of that total, and must manufacture snow at Massanutten, Bryce, or Wintergreen. On average, it rains or snows in Virginia for roughly 110 days each year. The number of overcast days, is greater, especially in the winter when gray clouds cover the sky for days at a time. Statewide averages will not help in planning a backyard picnic, but do provide a base for comparing Virginia with other places and for comparing places within Virginia. Average rainfall for the entire state is 43-44" annually, but when it rains in Bristol the sun could be shining in Chincoteague. The Shenandoah Valley is relatively dry, a "rain shadow" getting only 33" of rain each year as storms soak the mountains on either side. In contrast, the higher elevations in southwestern Virginia get over 60" of rain annually. Storms moving west-to-east across the North American continent have their moisture squeezed out by the mountains in West Virginia. Moist air drops in temperature 3.3 degrees Fahrenheit for every 1,000 feet increase in elevation (the "adiabatic lapse rate"). For each 3,000 feet increase in elevation, the air will be 10 degrees cooler on average. Storms totally ignore political boundaries. 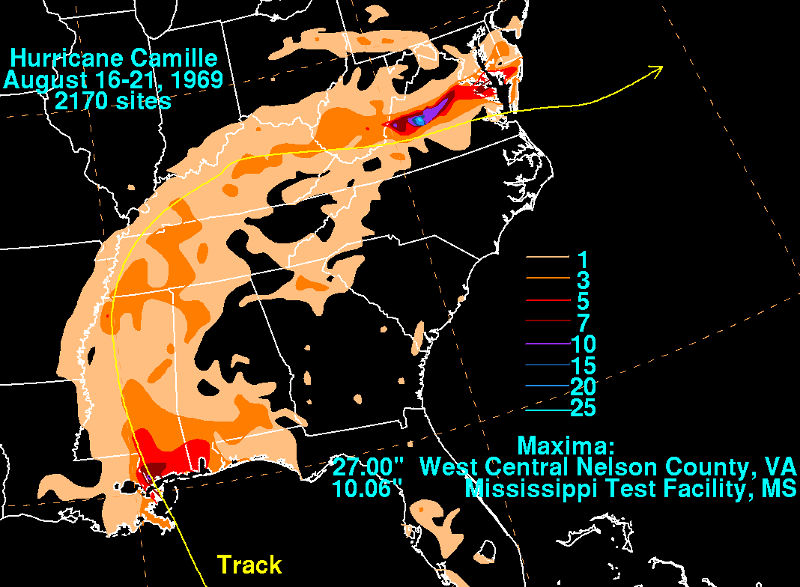 Hurricane Floyd dumped 17 inches of rain on Williamsburg on September 16, 1999, but the city of Roanoke received just 1 inch of rain that day. 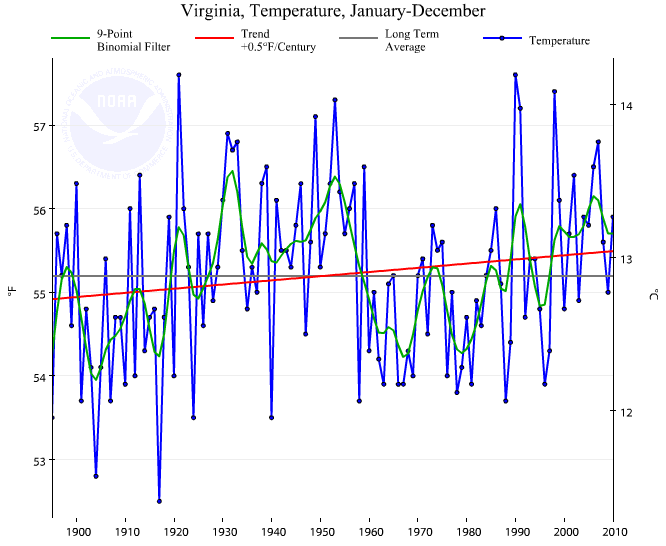 Based on the averages since 1885, it would appear Virginia is getting hotter and wetter. Water heats and cools slower than dry land. 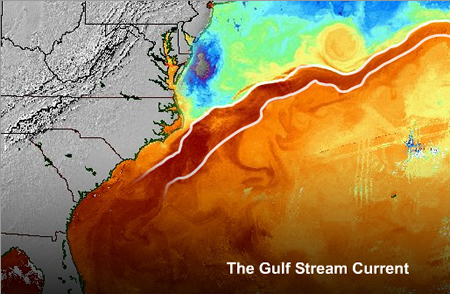 Because Hampton Roads is adjacent to the Atlantic Ocean and Chesapeake Bay, it has a more moderate climate than inland cities. Norfolk has less of a temperature range than Bristol, 350 miles west of the Atlantic Ocean. The high temperatures in the summer are higher in Bristol, and the low temperatures in the winter are lower in Bristol. Virginia has a "temperate" climate. 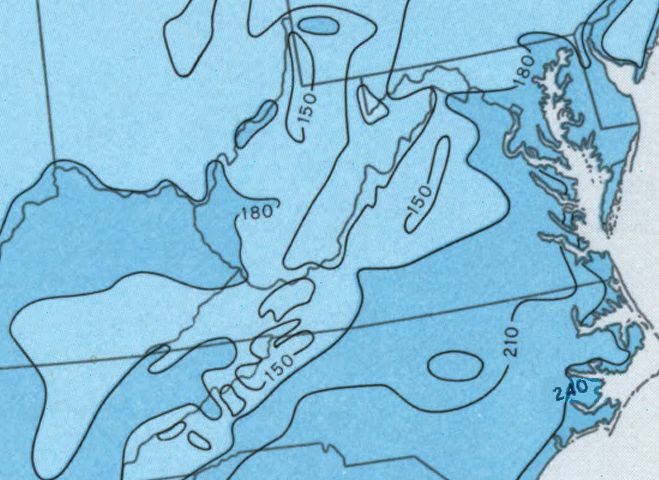 According to the climate classification system developed by Wladimir Köppen and refined by Glen Trewartha, Virginia's climate has a "mild mid-latitude" climate, and is in the subcategory of "Humid subtropical." It is coded "Cfa" on the Köppen classification system because the climate is mild, with no dry season and a hot summer. The Food and Agricultural Organization map shows other countries where the average temperature of the coldest month is <18°C and >-3°C, and the average temperature of warmest month exceeds 10°C. 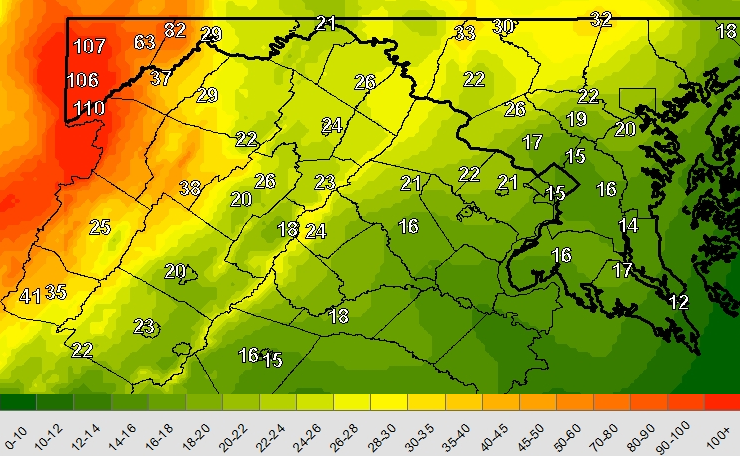 The green zones are places that have at least 30 millimeters of precipitation in the driest month, so the vegetation in those places will be comparable to Virginia. The sub-tropical part is easy to understand - because we get frosts, we're not tropical. However, if you've ever been in Virginia through a summer, you know it's not the heat, it's the humidity that makes the summers "sticky." Warm temperatures with high relative humidity make it difficult for moisture to evaporate from the skin. Humidity is what people in Tidewater complain about most often in the summer. East of I-95, the Potomac/Rappahannock/York/James rivers and their tributaries drain to the Chesapeake Bay, providing plenty of water to evaporate in the summer sunshine. Before air conditioning appeared in the 1930's, the best way for Virginians to escape the heat was to retreat to mountain resorts. Highland County's name reflects its elevation. Because cooler air holds less moisture, a human body can cool off easier through evaporation. When people in Arizona say "it doesn't feel like 100 degrees, it's so dry out here," they are referring to the ability of evaporation to cool off a body. The same cooling effect is available in the mountains of Virginia. Until the 1900's, Tidewater residents traveled to the resorts at Mountain Lake, The Homestead, White Sulfur Springs, and other higher-elevation, lower-humidity vacation spots with ceiling fans. The New River Valley in Virginia is attracting retirees due in part to its climate. 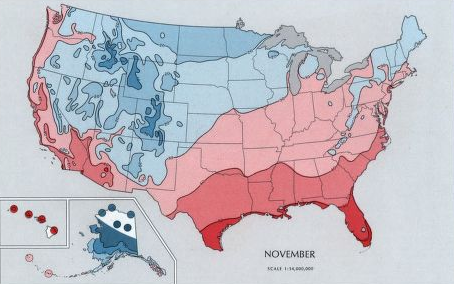 Northern residents who retired and moved from the Snow Belt to Florida are returning to a place with seasons. The retirees may not want to return all the way back to harsh winters, however, so they choose to settle in an area that is both north of Florida and higher in elevation. Those who settle in places like Asheville (North Carolina), Blacksburg, and Roanoke are known as "halfbacks" who made it only halfway back to their old home. Jimmy Buffet has suggested that we can change our attitude by changing our latitude. The reverse is also true - our personal comfort zone can be based on maintaining the same latitude. When the state's economic development agents encourage companies from Korea and Japan to open facilities in Virginia, they describe how the company's managers can deal with the cultural differences - and one positive factor is that Virginia has a similar climate to "home." Latitude alone does not determine the weather patterns or ecology of a place. Follow the original Virginia/Carolina border (the 36° parallel of latitude) eastward across the Atlantic Ocean. England is far north of its old colony of Virginia. Sailors who settled the first two English colonies in North America sailed from Plymouth (north of the 50th parallel of longitude) and London (north of the 51st parallel of longitude) to Jamestown, just north of 3736° latitude. The early English colonists did not sail due west to Virginia. If they had tried sailing due west in a straight line, they would have ended up in Canada, north of the mouth of the St. Lawrence River in Labrador and Newfoundland - where the Vikings first settled in North America. The English colonists first sailed south towards the Equator, then they turned west. The 36° parallel, the southern border of Virginia after Carolina was chartered initially, crosses through the Straights of Gibraltar, south of Spain where modern Clementine oranges are harvested each September. 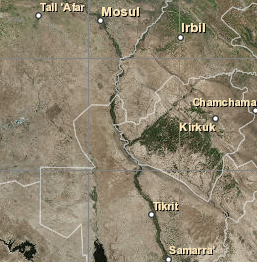 The parallel goes across Malta, south of Italy, Greece and Turkey, and through Tehran in Iran and Mosul in Iraq. It touches the northern border of Tibet, crosses China between Shanghai and Beijing, then goes across South Korea before reaching Tokyo. In California, that parallel is just south of Silicon Valley. What's at latitude 36° north, longitude 45° east? 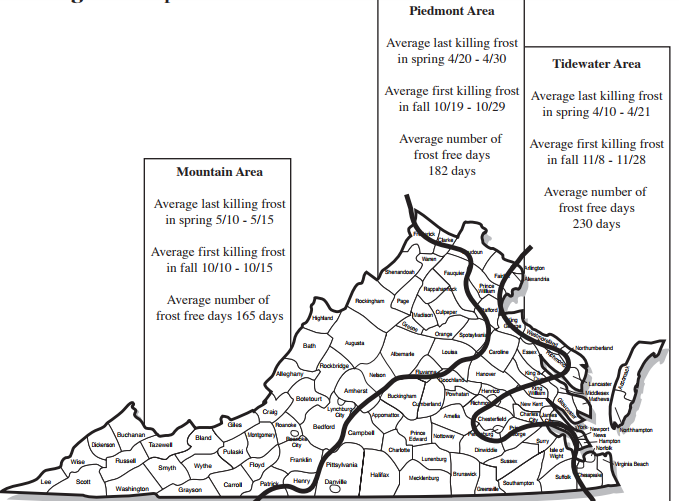 Virginia gets frosts and snowstorms from the cold polar air masses, especially in January. The shortest days of winter are in December, but the coldest days come weeks later in January. There is a lag time. The landmass of Virginia keeps cooling even after the December 21/22 winter solstice, when days start to get longer. For several more weeks after the winter solstice, Virginia radiates heat faster than the short winter days can re-heat the land... one reason February can feel like the longest month of the year, despite having the shortest number of days. Climate shapes vegetation. Colonists in Eastern North America were disappointed when they tried to grow crops common to Western Europe at 36° latitude. Citrus and silkworms thrived at that latitude as Western Europe, but the Virginia winters were too harsh due to the winter frosts. 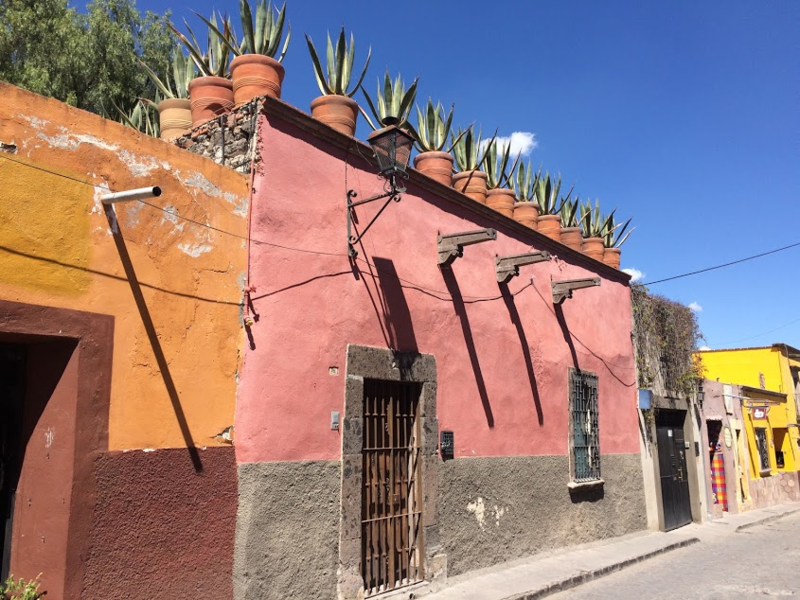 When Europeans reached Southern California, they found a parallel region with a "Mediterranean" climate similar to Spain - and where orange and olive groves are successful. "May 4. the blue ridg of mountains covered with snow. "[May] 5. a frost which destroyed almost every thing. it killed the wheat, rye, corn, many tobacco plants, and even large saplins. the leaves of the trees were entireley killed. all the shoots of vines. at Monticello near half the fruit of every kind was killed; and before this no instance had ever occurred of any fruit killed here by the frost. in all other places in the neighborhood the destruction of fruit was total. this frost was general & equally destructive thro the whole country and the neighboring colonies. The climate normals over the last 30 years will vary from the averages established by records over the last century, back to 1895 in some cases. A comparison of today's with the climate of the Pleistocene 18,000 years ago (when Pennsylvania was half-buried by ice and there was no Chesapeake Bay), or at the end of the Paleozoic 250 million years ago (when massive coal deposits formed), shows than climate change over geologic time has been dramatic. The 30-year normals reflect just the patterns of the last 30 years. Climate changes, though not as rapidly as the weather. The averages of the last 30 years may include warmer temperatures, higher moisture, etc. than averages calculated using all the data collected for over 100 years since 1895, but the patterns are consistent. 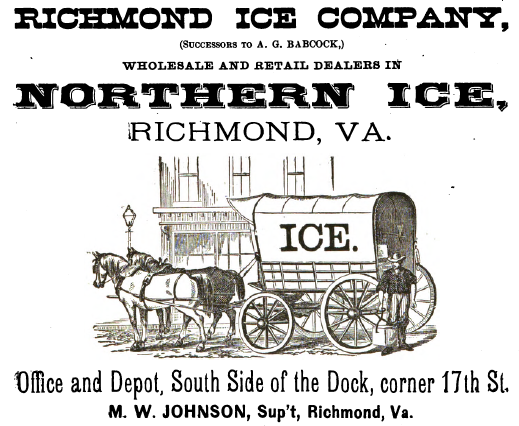 The cool summer temperatures show why the rich Virginians went to the mountain springs and resorts during August in the 1800's before the invention of air conditioning - and why they did not go to the mountains in the winter before skiing became a sport. Changes in the climate reflect changes in the amount of carbon dioxide in the atmosphere. Global warming is triggered by the greenhouse effect, with higher percentages of CO2 generated by the use of fossil fuels to supply energy since the beginnings of the Industrial Revolution in the late 1700's. "Climate" A notice of all what can increase the progress of human knowledge?